Arsenal contending for a Premier League title at this stage of the season is a rare normality in a season that's been anything but normal. However, what's eerily creeping into that same bracket of familiarity is their shortfalls - after a defeat to Swansea City at the Emirates, it appears as if their hopes are fading yet again. In the centre of the furore lies the manager - Arsene Wenger has been here before, but time could be running thin to seize arguably their biggest opportunity at winning the league in more than a decade. Instead of the big guns battling it out for supremacy, Leicester and Tottenham are the ones in the heat of the battle - on paper an easier challenge than previous occasions. But when Wayne Routledge and Ashley Williams found the net in North London for an instalment of midweek English top flight football, the climb only steepened. Just as hopes were mounting for the Gunners to finally reach the mountaintop of the game, it could be just the same old conclusion: Champions League football, top four, hoping next season would be a tale of much better events. There's no denying that the French manager's achievements are up there with the best. But the shield of protection from a top-four finish that kept his job safe over the years is slowly wearing thin. Fans have clamoured and waited to see the Gunners finally catapult back to the summit, but every season finishes in an all too familiar manner; a collapse at the crucial stage puts their chances out of sight. Bad injury luck can only dilute the scale of the problem. Transfer policy is criticised more often than not, and as a result Arsenal are blockaded by a rather solid ceiling: on one side lies the usual, now glum looking sights at a top four finish, above that the dormant dreams of once again being crowned English champions. For Arsenal to break that ceiling may require drastic changes from Wenger, or may be he won't be in charge for too much longer. 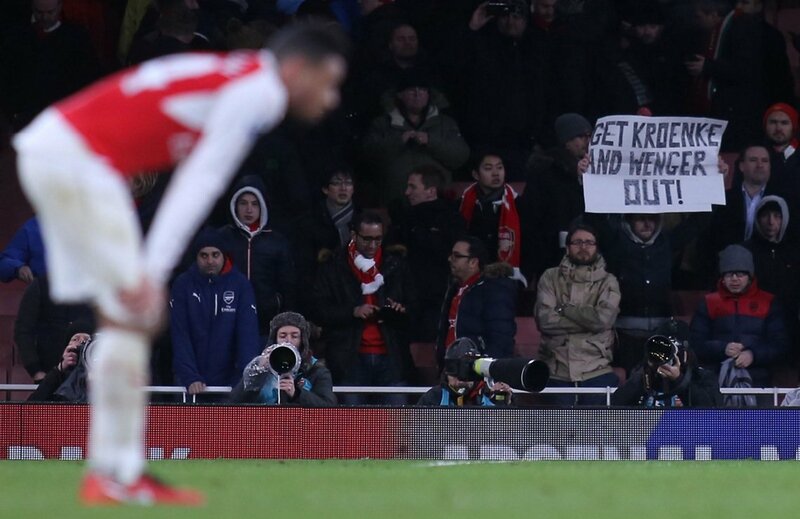 #WengerOut plastered over social media and posters at grounds seem to be an annual occurrence - but with the stakes of this title race, and how close it was for Arsenal to grasp could make it far more meaningful and influential this season. Speaking of transfers, money is certainly no object. Their home ground has the highest revenue in world football, probably due to the monstrous ticket prices, but the approach to transfers from Wenger resembles more of a student on a budget than Forbes' seventh richest club on the planet. Thierry Henry presumably knows a fair bit about attacking at Arsenal since he is arguably the best player in their history, and he conjured up a very strong point against the transfer activity. "I'm not trying to find any excuses because your usual suspects need and have to perform, but what is happening when they are not scoring? Who is going is going to come from the bench and change the game?" he asked. Reluctance to add reinforcements in that area make those options very sparse. Even if their transfers are limited, Arsenal should be excelling with the current resources at hand. Mesut Özil firing on all cylinders and demonstrating the quality which brought him to London, Alexis Sánchez looking to continue his explosive start in red and white, along with the addition of a keeper in the world's elite Petr Čech made for a promising season - but fast forward to early March and a crisis could be looming once again. While the likelihood is that they will fight another season in the competition for European football supremacy, Arsenal are all but out of the current Champions League campaign. They were unable to stop Lionel Messi and Barcelona when they rolled into town, ramping up the importance of the league with the prospect of winning another tournament out of the question. Their focus towards elegant football may have worked on times but defensively they are really losing their backbone, and that when combined with the lack of heart shown in the loss to Swansea suggests that a big task is ahead to restore whatever fragments remain of their championship hopes. Should Arsenal fail to win the Premier League title then surely a rigorous post-mortem will take place around all goings of the club from top to bottom. Top four may have satisfied appetites over previous seasons, but this one should have been so much more. It's far from over, this season has thrown up so many unpredictable moments, and Arsenal winning the title won't be the most extreme of them. However if they do, they need to start progressing quickly - the pressure is on. It will only get worse from here on in. Wenger may have neared the exit door on previous occasions, but finishing up with no silverware this season may be the final trigger to the ticking time bomb that has overshadowed the recent years at Arsenal. There's a few uncomfortable and uncertain moments ahead for Arsene. 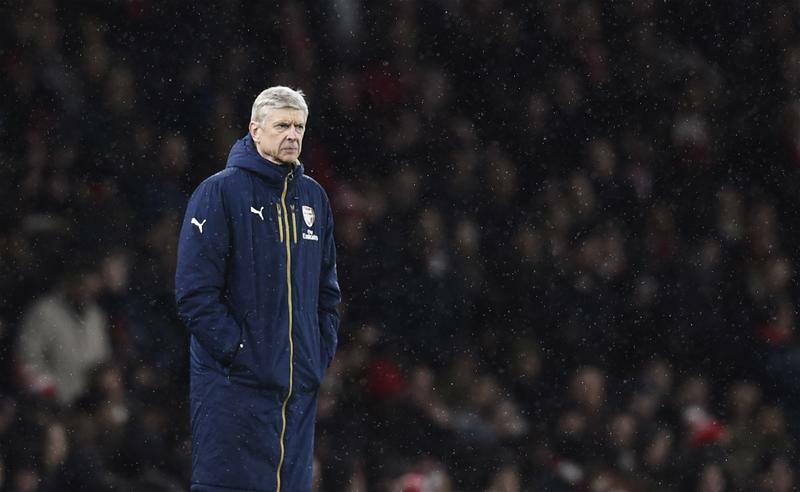 As another title challenge possibly evaporates, can Wenger still say on as Arsenal manager?